*This assumes all parts such as clutch, carburettor, fuel pump and distributor, etc are serviceable. The rebuild includes a complete strip down and rebuild, replacement of all gaskets and oil seals, crank bearings, big end bearing, crank regrind, new piston rings, replacement oil pump, valves removed from cylinder head, cleaned and re-ground. A report will also be provided detailing any additional required work. 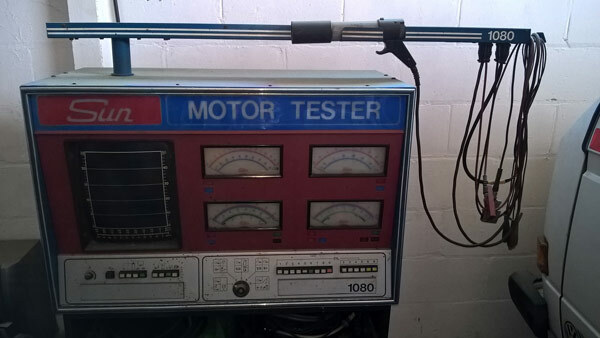 Suffolk camper van hire has invested in obtaining a Sun Motor tester engine analyser. This is the comparible diagnostic machine that would have been used by engineers in the 1980's, proper "old skool" diagnostic anaylsis. This machine allows us to diagnose engine and ignition faults and also to tune the engine setting tickover, timing and CO2 emissions. The VW T25 is fitted with VW's wasserboxer engine (waterboxer is VW's water-cooled flat four, 1.9L - 2.1L) this requires a specific type of antifreeze called 'G11 antifreeze'. Not the antifreeze that is usually sold by many motor factors. On these engines the cylinder head studs corrode, this is caused by not changing the coolant at the correct intervals. Antifreeze contains corrosion inhibitors, which inhibits corrosion of the cooling system, the radiator, the heater matrix, the aluminium alloy engine and your cylinder head studs. If the antifreeze is not changed correctly or the incorrect antifreeze is used the cylinder head studs will corrode. They will corrode to a point when they snap leaving an expensive repair bill. This can be avoided by regular coolant changes. Over the years the original G11 antifreeze has been superseded as newer VW models have been introduced by G12, G12++ and G13. These newer antifreezes cannot be mixed with G11 antifreeze. There is still a supplier who can produce the original specification G11 antifreeze. As this is the recommended version specified by VW when these vehicles left the factory. This is the type we use. 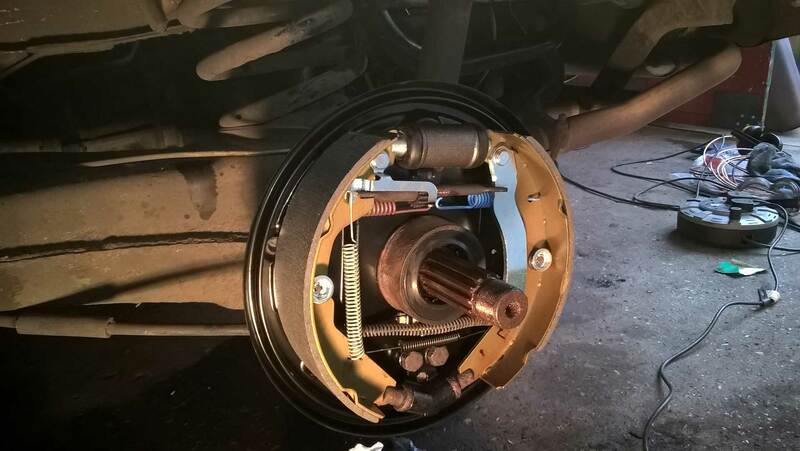 The cooling system on a VW T25 contains 17.5 litres (a modern car contains half this volume) for the antifreeze change it is drained thoroughly flushed and replaced with a 50:50 mix of G11 antifreeze and distilled water. The break brought back fond memories of when my family and I would explore the countryside together in our own camper van that we owned back in the eighties. This holiday was much more peaceful as there was only my wife and myself and we were transported back to a time when we first courted. We had a lovely time in Devon and meeting another VW camper van named Hickary. A lovely camper van, hired from a lovely couple. We had a wonderful time exploring some of the idyllic locations recommended. It was a real break from the hectic pace of life and extremely refreshing. We will certainly look to hire the van out again in 2011. Copyright © 2017 SuffolkCamperVanHire. All Rights Reserved.